Hunt & Gather Home, LLC has its roots in historic preservation. Megan has gathered her experience from living, studying, and working in the field in Savannah, Charleston, Natchitoches, New Orleans, Florence, Italy, and the South of France. For the past several years, Megan served as Director of the Alexandria Historic Preservation Commission in Central Louisiana. She has a talent for seeing the potential and underlying beauty in historic structures and is able to communicate that vision to homeowners and contractors. Hunt & Gather Home is available to assist property owners through the entire rehabilitation process from restoration to design. 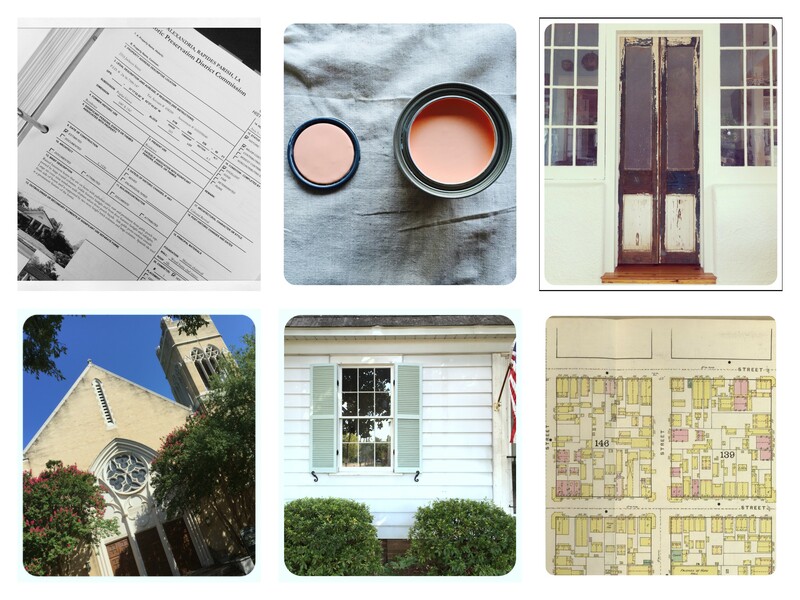 This process may include: condition assessments, researching an historic property, identifying original materials and architectural features, and applying for historic preservation tax credits. Megan specializes in balancing ways to maintain original character while making historic properties suitable for modern living or business. A Federal Historic Rehabilitation Tax Credit is available for qualified projects. Louisiana offers and additional State Rehabilitation Tax Credit. Hunt & Gather Home can help guide owners through the eligibility determination and application process.